Tickets are now on sale for the first in a series of events celebrating the talented specialists behind the James Bond films. Lyricist Don Black and composer David Arnold will be in conversation with broadcaster and writer Edith Bowman on Tuesday 20 March 2018 at the London Film Museum, home to the Bond in Motion exhibition. 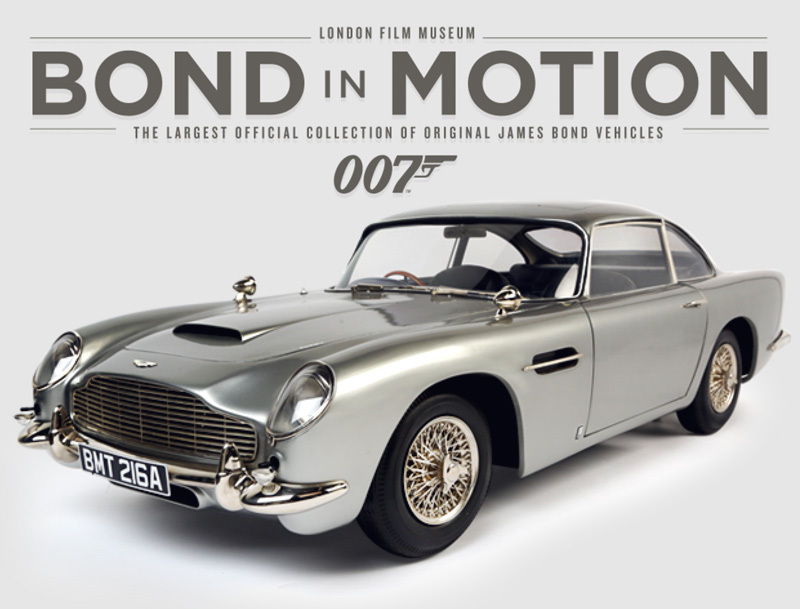 BOND IN MOTION, the largest official collection of original James Bond vehicles anywhere in the world, is to remain at the London Film Museum in Covent Garden until further notice and will see new exhibits added in 2015, including vehicles from the latest Bond adventure, SPECTRE. Bond In Motion, the largest official collection of original James Bond vehicles, is now for the first time on display in London. The extensive exhibition, previously located at the National Motor Museum in Beaulieu, is totally at home at its new digs: the London Film Museum at Covent Garden. Bond In Motion, the largest official collection of James Bond vehicles, which was exhibited at The National Motor Museum in Beaulieu in 2012 and 2013, will come to the London Film Museum in March 2014.